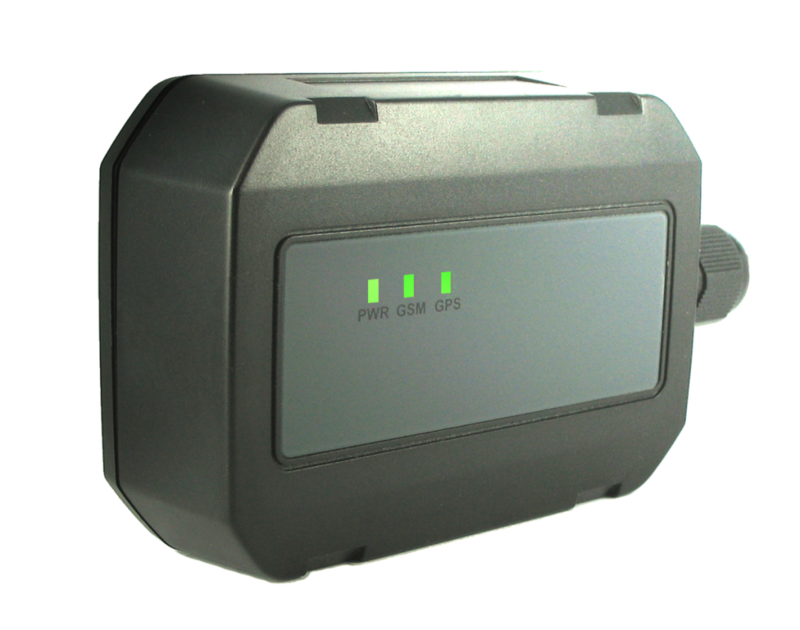 The GeoChaser Basic is the most affordable solution for tracking your vehicles on land or sea with a 12 or 24 volt power source. You’ll always be able to trace your belongings via your online account. This GPS Track and Trace system is suitable for route registration thanks to the GeoMotion function. The frequency of notifications you receive from your GeoLocker Compact is completely up to you and adjustable via your online account. The default setting is determined by you and is saved for up to 3 years. You’ll also be able to import the data into your own administration. Connect to objects with a 12 or 24 volt power supply. No fixed contracts or subscriptions necessary. Pay only for what you use. Online account to track the location of all your objects online. Adjust the frequency of notification you wish to receive of your tracked objects with Time Trace. Export and imported route registration data into Excel. Route history is is saved for up to one month. Backup battery lasts up to 7 days in case of sabotage . You will also receive an alarm that the power supply has been interrupted. 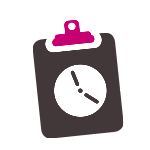 Plan your route with our route planning tool. Handy in situations where multiple items may require maintenance and a route can be planned between tracked items. Everything can be configured to your specification via the website. 12Trace offers extremely affordable solutions: credit bundels. All 12Trace systems are available with credit bundles which offers a standard low rate in all EU countries with no fixed contract and you only pay what you use. Coverage of all 12Trace systems is ultimately global. * Credits are based on basic settings. * Different rates apply for outside the EU. No fixed contracts. Only pay for what you use. Standard low rate within all EU countries and for many countries outside the EU. Free credit bundles worth 150 credits with every system purchase. No contract. Pay only what you use. With contract, you usually pay a lot more than what you actually use. To avoid these costs, 12Trace works with credit bundles allowing you to pay for only what you actually use for a uniquely low rate. With this system, everyone is guaranteed one standard, low rate for all EU countries and many others outside the EU allowing you to track and trace your property for less than 1 cent. Borderless communication and no surprises! Your track and trace system sends the locations (positions) of your tracked objects to your online account. This requires sending small amounts of data containing a single location (or multiple locations for systems that make use of a buffer) and possibly other bits of information such as an alarm notification for example. In order to send this data, you’ll have to have purchase a credit bundle. You’ll always receive a free credit bundle worth 150 credits with every system purchase. 1 credit is equal to 1 location request. Are your credits used up? Topping up your credits couldn’t be simpler via your online account. It is also possible to top up your credit with the use of vouchers. Take note: credit bundles are only valid for 1 year. We advise you to determine your annual credit need based on the inital 150 free credits you receive with your system purchase. We also offer company bundles. With company bundles it is possible to top up up to 20 systems with credits. All from a single credit ‘pot’. 12Trace has a service department with qualified professionals ready to assist you via phone (050 313 03 16) or email (info@12trace.nl). We look forward to receiving any questions, comments or suggestions you might have. 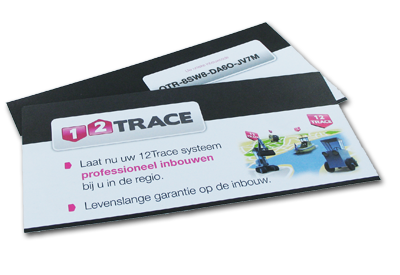 Professional installation of your 12Trace system is also available in your region. Simple, affordable and with a lifetime guarantee! Simply choose one of our installation parters in your area. All our parters are equipped with installation stations and excellent qualified professionals. Enter your installation code on voucher you received after purchase. Installation costs are 99,- incl. BTW regarless of vehicle type. Extra connections (such as a connection with temperature sensors) is possible at extra charge. All your objects are traceable and protected via your online account as soon as your GPS Track and Trace system is installed. Logging into your account is available anywhere and using the system is simple and intuitive. There is no need to install any software. Above all, use of your account is completely free! Logging into your account is possible from anywhere.